Commanding views of New York Harbor and the Manhattan skyline. A ferry, rail and bus transportation hub linking Manhattan to almost every neighborhood of Staten Island. A complex of century-old municipal buildings designed by the architecture firm Carrere & Hastings. A baseball field that is home to the New York Yankees’ minor league team, the Staten Island Yankees. A 1920s-era vaudeville theater that seats 2,800 people and has, in recent years, hosted Tony Bennett, the B-52s, k.d. lang, Cyndi Lauper, Rosie O’Donnell and the Jonas Brothers. A historic district encompassing 78 homes and a Roman Catholic Church designed in the Romanesque Revival style. It sounds like a great place to live and visit. But while walking through the neighborhood, I can’t help but feel frustrated. The Staten Island Yankees don’t sell nearly as many tickets as the Brooklyn Cyclones, across the Narrows. Many of the homes in the area are poorly maintained. 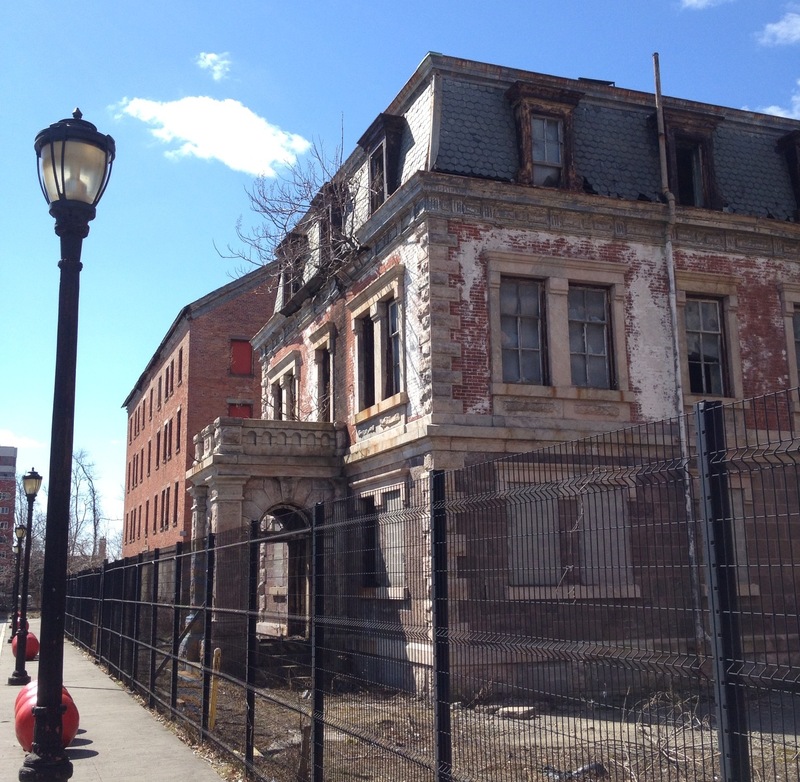 A long promenade just East of the ferry terminal is full of crumbling, abandoned buildings, waiting to perhaps someday be the home of a National Lighthouse Museum. Most telling: The Staten Island Ferry is one of New York City’s most visited tourist attractions, and yet nearly all tourists who arrive in St. George turn around and take the ferry back. And I can’t blame them. Last Saturday, I took a walking tour of St. George through the Municipal Art Society. Led by lifelong Staten Islander Georgia Trivizas, the tour brought about a dozen people along the waterfront and through the historic district. I was the only Staten Islander on the tour. The others were inquisitive, asking questions and trying to learn more about this borough. But I wondered whether they saw anything that would prompt them to return. Perhaps, too, the buildings that are designated to someday be the home of the National Lighthouse Museum will be put to good use. The promenade is gorgeous, leading to an old pier and new residential developments. But the space is desolate now, and wasted. Whether they become a museum—or shops or cafes, they have potential. St. George has all the ingredients for a thriving, successful neighborhood, a neighborhood that people want to visit. Let’s build the wheel and restore the architecture. Though not a huge fan of antique markets, I do love to look through old postcards. 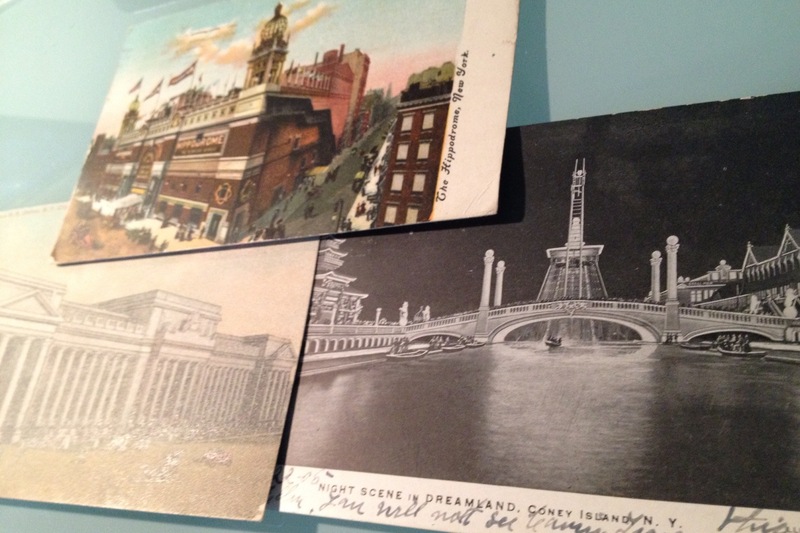 Last month, I spent at least a half hour looking through New York postcards at the Antiques Garage Flea Market. I bought three, each sent between 1905 and 1912 (postage was one cent then). Each bears an image of a New York City landmark no longer standing: Coney Island’s Dreamland, the old Pennsylvania Station and the Hippodrome. Today, we send pictures and notes instantly, to hundreds at a time via social media. 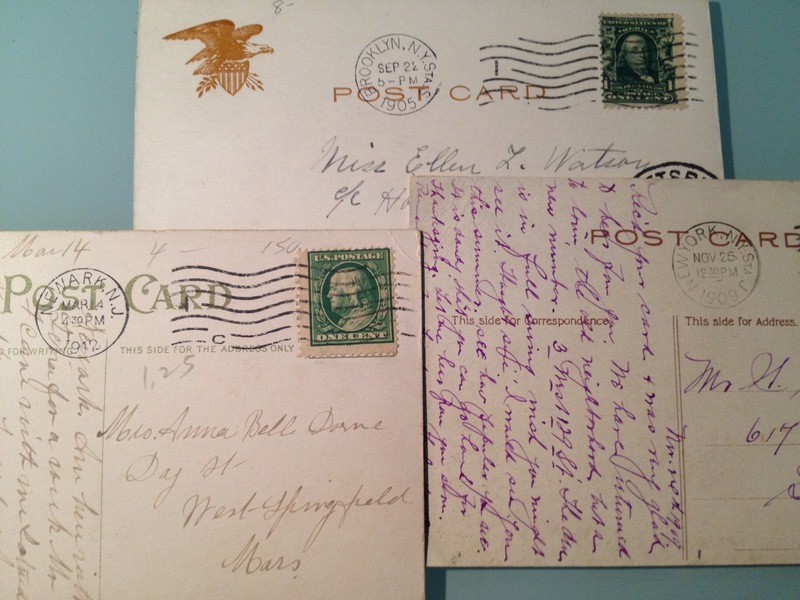 Will these digital messages interest people in the 22nd Century as much as these early 1900s postcards interest me? Each is handwritten of course, and hand stamped with the date and even hour that the post office processed it. And 100 years later, I am buying three of them for $12 and holding them in my hands, reading the messages and admiring the almost-forgotten landmark images. I’d like to display these postcards somehow, but how—especially if I continue to collect them? Last week, a truck with a giant TV screen on the side of it drove down Court Street, loudly announcing that Fairway in Red Hook would reopen March 1, after being devastated by Hurricane Sandy. I didn’t think the publicity was necessary. And I was right. This morning, two days after a grand reopening that drew Mayor Michael Bloomberg and Sen. Chuck Schumer, the auxiliary parking lot across Conover Street from the store was filled beyond capacity, with cars struggling to navigate the tight lot as they waited for fellow shoppers to unload their carts into their cars and free up needed spaces. Last year, the lot usually had a dozen cars at most on Sunday mornings. A sign outside the main parking lot announced: “Established 2006 · Devastated 2012 · Reborn 2013 BROOKLYN STRONG(ER)” An employee at the entrance handed out free bottles of apple cider, thanking customers for returning. The newly reopened Fairway has a new layout, which, while confusing at first, is far more easier to navigate than the old store. (Am I the only one who thought the old produce section was a frustrating maze?) To help shoppers find their way around the new store, employees handed out maps near the entrance. The 5-story Red Hook Stores, originally known as the New York Warehouse Co.’s Stores, was built by William Beard in the 1870s as part of the major expansion of storage and warehousing inside Erie Basin and along the Red Hook waterfront after the Civil War. Like many warehouses of its kind, the building was set back from the bulkhead with the long façade facing the water so that ships could unload goods for storage directly onto the adjacent docks. The building’s dramatic brick façade features row upon row of arched windows with iron shutters. It’s heavy timber mill construction was typical of mid- to late 19th-century industrial buildings; massive square yellow pine columns fitted into cast iron “shoes” support heavy girders over 20 feet long. Days after Hurricane Sandy, Fairway Founder Howie Glickberg showed hot air being circulated through the empty store so that he and his team could rebuild and reopen. He predicted that when Fairway did finally reopen, it would be stronger and more efficient, and customers would come in with smiles on their faces. It appears his prediction rang true.